The IWGB is continuing to fight for the rights of the most vulnerable workers at the University of London, and has lodged an ET1 claim on behalf of Nuvia Erazo Farias for maternity discrimination and harassment. Nuvia, a pregnant Ecuadorian cleaner at the Garden Halls recently applied for a permanent job in order to avoid redundancy. When she attended the job interview, the infamous Sharon Bracey (Cofely manager and UNISON rep) told Nuvia that she did not want to speak to her about work because of her “condition” and that instead she was going to speak to her about maternity pay and redundancy. Nuvia was then made redundant. Nuvia appealed the decision and Cofely first tried to schedule the appeal at a time when her rep couldn’t attend, and then said she had no grounds for appeal because Sharon Bracey and another manager contradicted her version of events. When threatened with a tribunal claim Cofely backtracked and offered her a job. This was followed up by UNISON rep Sharon Bracey pressuring Nuvia to sign a document (which Sharon knew to be false), saying that she had accepted the appeal outcome, taking advantage of the fact that Nuvia speaks little English. Subsequently, Cofely account manager Andy Combe called the claimant into his office and questioned her on her signatures. 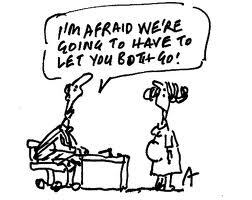 He also told her she only had two options: accept redundancy or accept the permanent position. The claimant had to state three or four times that she did not want to discuss the matter and that she wanted all communications directed through her trade union rep, before Andy Combe stopped interrogating her. It appears that the only way to stop this appalling behaviour (this is the second instance of maternity harassment in a a year) at the University of London is through legal action, and the IWGB will continue to support all its members in seeking justice and protecting their dignity at work.